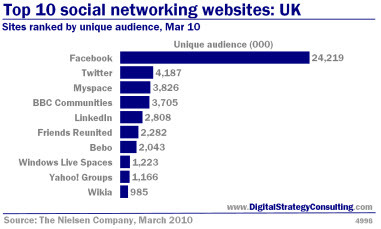 Entries from Digital Intelligence tagged with "friends reunited"
Friends Reunited, one of the first social networking websites, is closing down. Social network Friends Reunited has selected Maxymiser, to increase online customer engagement across Brightsolid online publishing’s portfolio of sites, Friends Reunited, Find My Past and Genes Reunited. Following its recent revamp from the site famous for reuniting old school friends, to the home of the UK’s ‘cherished memories’, Friends Reunited will initially be working with Maxymiser to identify and execute a series of MVT campaigns. Former social networking pioneer Friends Reunited has relaunched under new management and with a renewed focus on ‘shared memories’. The new-look site lets users create their own 'memory boxes', as part of its emphasis on online nostalgia. These boxes can be shared on various other networks online - including Facebook, where users can add a Friends Reunited app to their profile. The Friends Reunited Group is to launch a national TV advertising campaign, promoting its three brands Friends Reunited, Genes Reunited and Friends Reunited Dating, airing for two weeks from the beginning of November. The two new 30 second adverts are based around typical users’ enjoyable experiences of the websites. Developed by Addiction London, the executions feature a journey between the sites, under the group message of ‘get in touch’. The cheerful testimonial style is set to a backdrop of virtual interactions, echoing the onsite experience. ITV has sold Friends Reunited for £25m to publisher Brightsolid Limited, after buying the pioneering social network for a total of £175m back in 2005. Brightsolid is owned by DC Thomson, Dundee-based publisher of comics such as the Beano. Friends Reunited will become part of Brightsolid’s publishing portfolio, which includes a good match in findmypast.com, which operates the official 1901 and 1911 census websites.